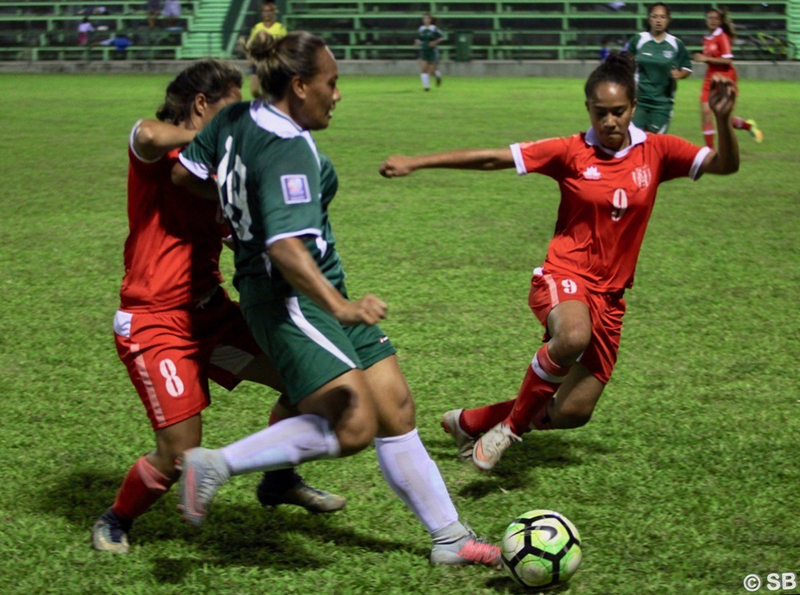 Tahiti have set themselves up as a strong contender for this year’s OFC Women’s Nations Cup after dispatching the Cook Islands 3-1 and 2-0 in two friendly matches at home last week. After a long hiatus, women’s football has slowly been making a return over the past two to three years with a senior women’s championship and an U-23 championship providing options for registered women’s footballers. In addition, beach soccer and futsal are also starting to grow. Stéphanie Spielmann is both coach of the senior team responsible for the development of women’s football across French Polynesia, was pleased with the progression the team made across the two matches. In the first match we had a great first half and I was very pleased but in the second half the Cook Islands came out a bit more agressive,” Spielmann said. Spielmann describes the squad as being made up of players who were part of the team in 2011, with the remainder coming from the team which competed at the OFC U-17 Championship in Samoa last year. “There’s also some new players,” she said. “We’re trying to mix experience with youth, I think we will have a great team. There’s a lot of potential. “It’s interesting because our strength is our technique, but we then need to work on ourselves as a collective, it’s here where we have more work to do. In terms of the side’s strengths, Spielmann said offensively the team has a lot of promise with Ninauea Hioe one of the standouts. The AS Pirae player scored three of Tahiti’s five goals across the two games. “We scored five goals in total and conceded one from a penalty in the first match, I’m happy but we can do better. As well as working on their ability to cope with a physical opponent the Tahitian side will also need to work on the mental side of football. “We really need to work on managing emotions, we need to keep our concentration because we will encounter physicality like that first match regularly, especially our more technical players, and we need to get used to taking kicks and not retaliating. Tahiti have been drawn into Group A alongside OFC Women’s Nations Cup hosts New Caledonia, Samoa and Papua New Guinea.